Has your air conditioner gone haywire? Is it failing to cool your home to the correct temperature? In Virginia Beach, our summers are too hot and humid not to have a dependable AC unit. 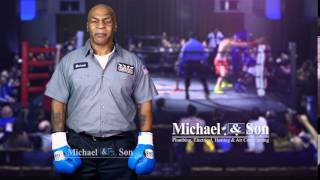 Call Michael & Son for Norfolk and Virginia Beach AC repair right away! At Michael & Son, we understand that AC problems require emergency repair. Keeping your home cool and comfortable is a necessity. That’s why our repair specialists are available for on-demand service, seven days a week. Do you need Norfolk air conditioner repair? Call Michael & Son now to schedule an appointment with an HVAC repair technician! We proudly serve customers throughout Hampton Roads including the cities of Virginia Beach, Norfolk, Chesapeake, Hampton, Newport News, Portsmouth, Suffolk, Williamsburg and Yorktown.